Looking for different options in Saratoga Springs horse farms? 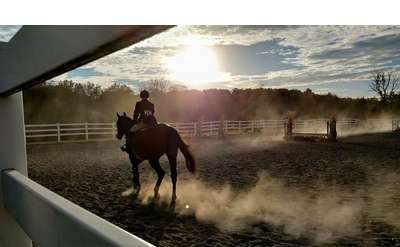 Find different stables, farms and equine centers in Saratoga NY and throughout the area that specialize in a variety of different equine services including horse boarding, lessons, training, trails, horseback riding, clinics and more. 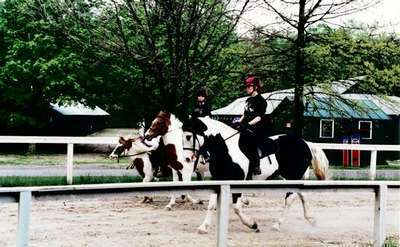 Compare the horse farms based on location, services, horse breeds, training available and more! Begin your search for Saratoga horse farms, stables and equine centers now. Saratoga Harness Horsepersons Assoc. Inc. Promoting the welfare of Harness Racing in the US and Canada with special regard to Saratoga Springs, NY. The organization is comprised of owners, trainers, breeders, drivers, and caretakers of Standardbred Horses. Established in 2002, Five Oak Farm just outside of Saratoga Springs breeds and foals Thoroughbred horses destined for racetracks across the country. Nicholas P. Zito Racing Stables, Inc.
Parting Glass Racing is all about you. 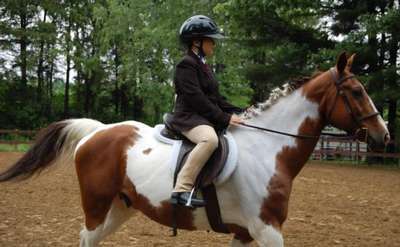 We provide you with the opportunity to become a horse owner, attend special events, meet fun people and own fast horses. Join us to experience the excitement of the best racing in the world! Let's go racing!